The word “diet” is very often associated with the weight loss. However, it does not necessarily mean the weight loss, it also means the food we are eating. With growing popularity of the paleo diet, the paleo diet and weight loss are used as interchangeable terms. 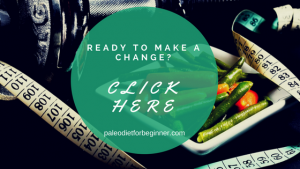 Though as I have mentioned before that the paleo diet is not just a weight-loss diet, it is a lifestyle that will change your mindset regarding the food (read more over here). Nevertheless, the paleo diet and weight loss are going side by side. The weight loss is a benefit that the diet provides you with. So why the paleo diet is so effective in the weight loss? The paleo diet is based on the idea of eating foods that our bodies were designed to eat thousands of years ago. These foods were available to our ancestors through hunting, fishing, and gathering. The modern technology simplifies the food process and produces food available for consumption, that is not easy to digest for our bodies. Why? Because, as said, our bodies are not designed to digest processed and refined foods. The foods recommended in the paleo diet, on the other hand, generally nourish our body and provide with the long-lasting energy that also helps in burning fat (1). A lot of people measure how successful the diet is, based on the inches and pounds they lost. Honestly, when I started using the paleo diet principles I was also looking into losing some weight and decreasing my body fat. Did I succeed? It took me only 8 weeks to lose 16 lbs just following the diet and doing the bare minimum of physical activity. The first couple of weeks were tough to adjust, of course, as whatever you used to eat, you could not eat anymore (like bread, rice, pasta, yogurt). However, after 2 weeks I established the new meal preparation routine. I also noticed that my productivity level increased. I was not a very tired mom anymore. I even found the energy to subscribe to the gym and go there every single day! So if you ask me whether the paleo diet works for weight loss? It sure does! When you start the paleo diet you will see a significant weight loss during the first couple of weeks. But soon the weight loss slows down or your scale does not want to move at all. You are at the fat ‘Whoosh” stage. What it means is as you start to lose fat, your fat cells start to fill up with water. Fat cells could hold that water for quite a while. But once they realize that there is no fat coming, they release the water and the cell collapse. That is where you will see a big ‘Whoosh” on your scale. After that, the period of slow and steady weight loss begins (2). 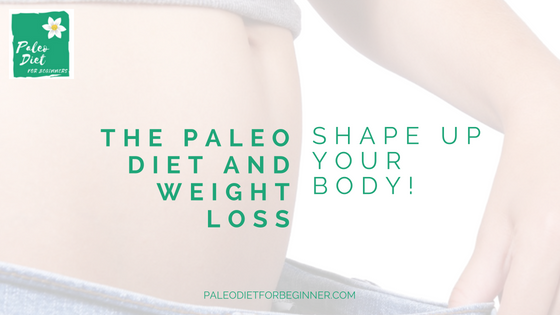 The paleo diet will definitely help you with the weight loss. However, once you reached your weight goal, what will you do next? Personally, I did not hesitate to make the paleo diet my permanent lifestyle. Why? Well, I will lie if I tell you that I did not try junk food after I reached my weight goals. Honestly, I felt horrible the next day. My body felt similar to alcohol poisoning, that is not fun at all. So my whole life I was poisoning my body with the products that provided me with limited or no health benefits. Why should I keep eating that kind of foods? Also, once you get rolling with the paleo diet and have your own set of dishes to cook, it becomes your new habit, i.e. your new lifestyle. And who said, that eating clean means to eat just raw vegetables and boiled meat or eggs? There are tons of very delicious and paleo friendly recipes (including desserts!) that I will be sharing with you too. These are just a few of changes that you will see pretty much immediately after you start following the paleo diet principles. So the paleo diet does not only mean the weight-loss diet. The paleo diet means to make right choices regarding foods you are eating. avoid foods that came out of factories, i.e. processed/refined foods. The paleo diet promotes a healthy lifestyle and as a nice bonus, it will help you to get rid off that extra inches and pounds. Once you reached your weight and body fat goals, it will be up to you to leave the paleo diet principles as your permanent lifestyle or to come back to your old habits and gain back all your lost fat. I think the choice will be quite obvious at that point, will it? 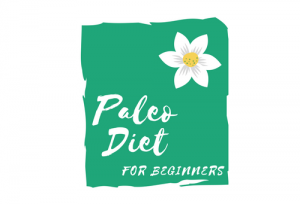 The Paleo Diet Basics paleo diet, paleo weight loss, the paleo diet, the paleo diet and weight loss, the paleo diet basics, the paleo diet weight loss. permalink. My neice was diagnosed with severe IBD 2 years ago, and after many weeks in the hospital with severe pain, her Mom switched her diet to Paleo. She has since fully recovered and no longer experiences the horrible pain and symptoms of IBD as long as she only eats Paleo. I myself have been on the Ketogenic diet which is fairly similar to Paleo. I have been in the best shape of my adult life since changing my way of eating to this protien natural diet. Thank you for sharing your story. The paleo diet teaches us how to eat healthy in order to fuel our bodies properly. Once we picked the right fuel, our bodies start to function the way it should. Once again the paleo diet teaches us basics and we should listen to our bodies to adjust the diet based on our needs. I agree that once I started eating paleo, I feel energetic, I look better and I have not had flu for over a year already. Nice article on Paleo Diet. Hope more people will understand this and start with Paleo! Couldn’t have stated it any better myself. Wonderful review I will be sure to share within my Facebook group for weight loss. Have you ever thought of adding ACV with this diet?